Temperature Control in Cabin Why did they even bother putting a thermostat in the cabin -- it didn't work Just got off the Pride an hour ago 12-7-14. FROZE the whole time. Called for repair. Repair guy came in and said the thermostat does NOT control temp. He went up into the ceiling and suddenly COLD air again. I put the dial on Hot and the room still froze. AC prob also caused flooding in my room. Avoid this room 5268 !!!! View From The Cabin Amazing view - I loved looking at the view every day Balcony rooms are the way to go for private ocean views at any time. I recommend going to the 4th level as you get the full use of balony. From 5th on up, the railing leans way in, and you loose 18"+. Your Comments & Observations (OPTIONAL QUESTION) AC issues in the room. NO working controls. Froze all week, I mean covered my head at night and left a little hole to breath!. Also, AC caused the room to flood. They fixed it - said a pipe was clogged? Biggest complaint was with the way everything was handled. Problems happen but customer service rules require staff to give you the run around. That is NOT why I am on vacation. This is my Last cruise with Carnival ever! 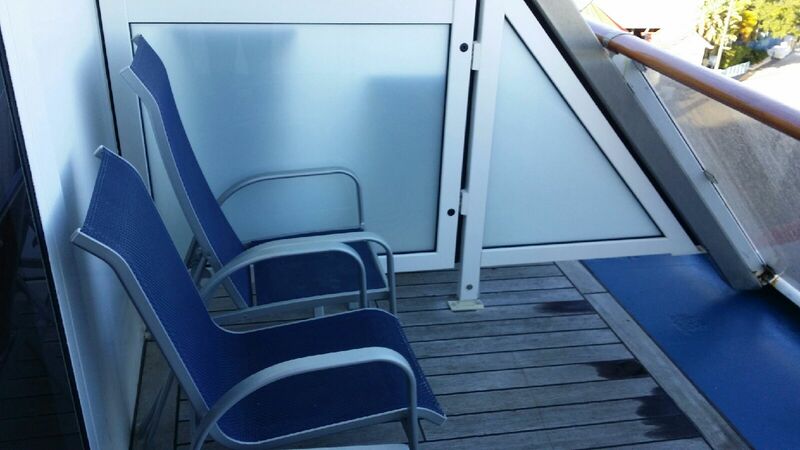 Is cabin 5107 in a noisy part of the ship – under/above a kitchen, disco, high traffic area? What else should you know about cabin 5107 before you book? Get a free analysis of Carnival Pride cabin 5107.